Join cycling enthusiasts from around the state for the most scenic cycling event in Northeast Florida! 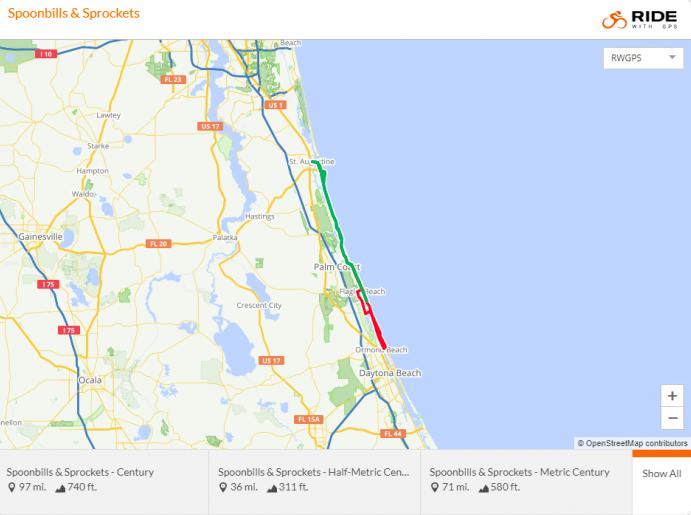 Starting at Marineland, cyclists will travel along the coastline on beautiful A1A, taking 36, 72 and 100 mile routes through historic St. Augustine, the Hammock and Flagler Beach. No other stretch of highway reaches into America's history than the A1A Scenic and Historical Coastal Byway. An officially designated American Byway and Florida Scenic Highway, the 72 miles of roadway navigates nature's beauty, history and true serenity. The waters on either side of the byway have been part of American history, nature, archaeology and recreation for nearly 500 years! This year we're excited to welcome partners People for Bikes, the St. Johns River to Sea Loop Alliance and the East Coast Greenway Alliance to Spoonbills & Sprockets! Register by October 1st and Get a Personalized Number Bib! 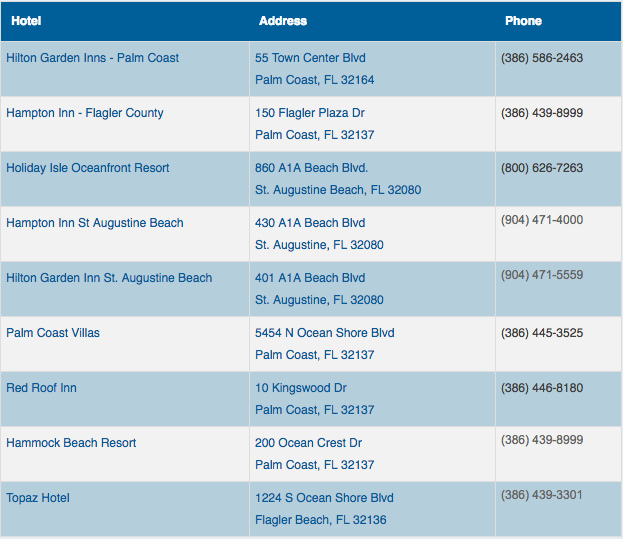 Here are some suggestions for accommodations. Feel free to visit our website for more details! 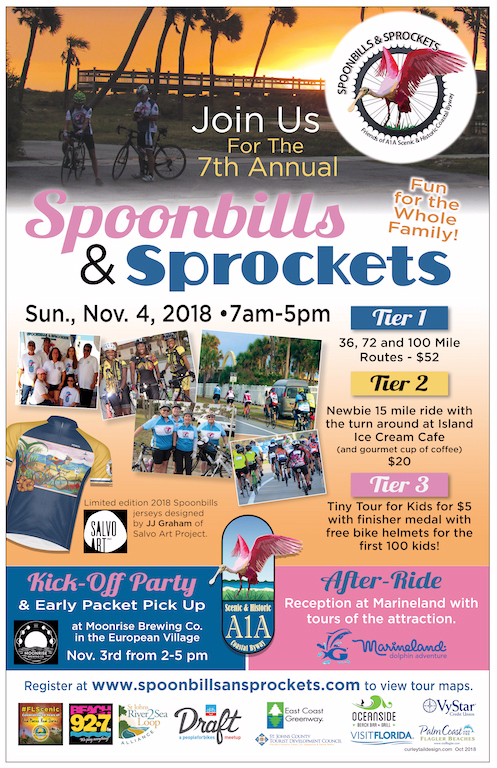 Fresh and Fun for 2018, this limited edition Spoonbills & Sprockets Cycling Jersey was designed by celebrated Salvo Art Project Artist JJ Graham for the event! Safety is the most important thing and if any of the threatening weather conditions are present the day of the event (tornado warning, tornado watch, thunderstorm, heavy rain or a hurricane decides to visit), the event may be delayed or canceled. When weather conditions or other physical conditions present a danger to participants, such conditions fall under the label “acts of mother nature,” it will not result in refunding of any event entry fees or future event credits, since funds were already spent in preparation for your event day.